Horrorscreams Videovault - UK based horror site with news, reviews, interviews and more. : HOW MANY LIFES DOES THE 'HELL'S KITTY' HAVE? HOW MANY LIFES DOES THE 'HELL'S KITTY' HAVE? Based on the web series and comic book of the same name, and inspired by writer-director Nicholas Tana’s experiences living with a professedly possessed cat, HELL’S KITTY tells of a covetous feline that acts possessed and possessive of his owner around women. The results are as funny as they are frightening! today’s greatest horror icons including: Doug Jones (The Shape of Water), Dale Midkiff (Pet Sematary), Michael Berryman (The Hills Have Eyes), Courtney Gains (The Children of The Corn), Lynn Lowry (Cat People), Kelli Maroni (Night of The Comet), Ashley C. Williams (The Human Centipede), Barbara Nedeljakova (Hostel), Adrienne Barbeau (The Fog), John Franklin (The Addams Family) and a ‘Killer Klown’! With characters named after classic horror movie characters (Jones plays Father Damien, Berryman is Detective Pluto, Nina Kate is Dr. Laurie Strodes, Barbeau is Mrs Carrie), and a tone reminiscent of some of the ‘80s greatest horror-comedies, HELL’S KITTY is undoubtedly the horror hiss of March! 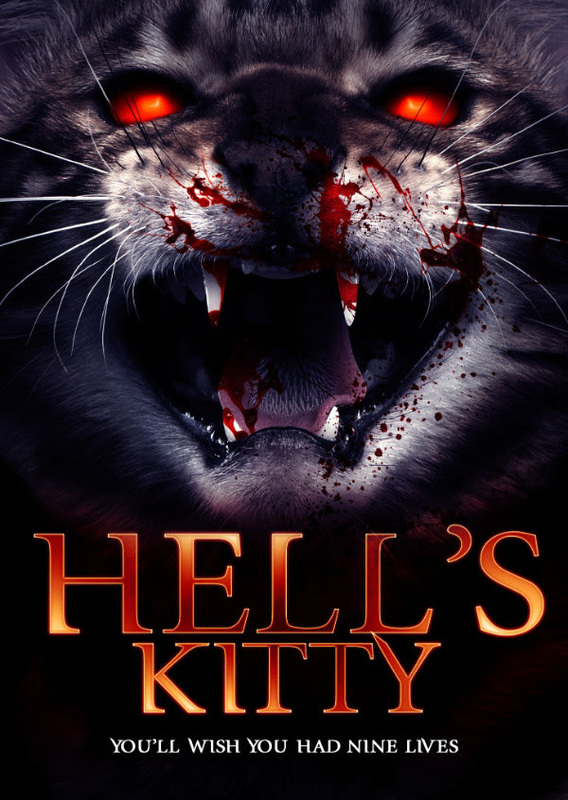 HELL’S KITTY is written and directed by Nicholas Tana and produced by Denise Acosta. To kick of the movie release and to share their love for cats, the creators behind the film teamed with HOLLYSHORTS MONTHLY SCREENINGS and the TLC CHINESE THEATER recently hosted a premiere at the legendary theatre to raise money for FixNation.org. FixNation provides a free, full-time spay/neuter clinic with two full-time veterinarians capable of sterilizing as many as 100 cats per day. They also help hundreds of cats find suitable homes. For more info on the cause click here. HELL’S KITTY is available on all VOD platforms 13th March 2018 and on DVD 27th March 2018 from Wild Eye Releasing.